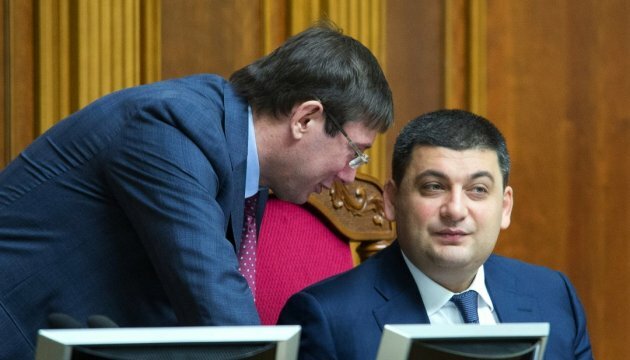 The agreement on the candidacy of prime minister and the composition of a new Cabinet of Ministers of Ukraine has been reached in the early hours of Wednesday. Chairman of the Bloc of Petro Poroshenko parliamentary faction Yuri Lutsenko posted this on his Facebook page. "A candidate for prime minister and the composition of the government have been agreed," he wrote. The negotiations on the Cabinet’s composition have been lasting since Monday evening.